How Sure Are You That Your Air Quality at Home is Safe? It is easier to dismiss the idea that the air in our home is safer than the air that we inhale outside. But this cannot be farther from the truth. 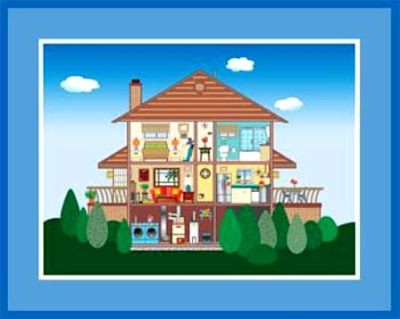 Air inside the house can also be harmful, especially because it is within an enclosed space. But how do you know if the air qualityin your home is safe or not? ● You feel weaker or more prone to getting sick at home. ● There is improper air circulation. ● There are molds forming in different portions of your house. ● There is extreme humidity and condensation. ● The air smells old or stuffy. ● There’s an odor in the air that you can't get rid of. The usual cause of deteriorating air quality are strong chemical components that people take for granted such as Asbestos, lead dust, household chemicals, tobacco and even pets. Bad air quality is usually the product of improper storage of strong chemicals around the home. Air is also usually polluted after renovation or remodeling projects where cleanups are not as thorough. Another one of the more important things to look at is proper ventilation. People think that air conditioning units also help them filter out harmful air pollutants even if this is hardly the case. A good air conditioning system helps but it can only do so much. Not addressing these issues may lead to literal illness in your family such as asthma and other respiratory issues. As with many sicknesses, homeowners have the ability to remedy the situation by first checking if there are any harmful chemicals just lying around. The next thing to check is if the air conditioning, heating, and filtering units are running in optimal condition. Make sure that there is also proper ventilation set in place to assist in removing harmful indoor air pollutants. Proper knowledge of how air quality works and what it does is essential. It allows us to address the issue head-on to help prevent anything worse from happening. But since our knowledge is limited, it is also important to seek the help of seasoned professionals who have years of experience to back them up during the installation of air cleaning systems or systems that affect the cleanliness and safety of the air we are breathing. Consult your reliable heating and/or cooling company today.